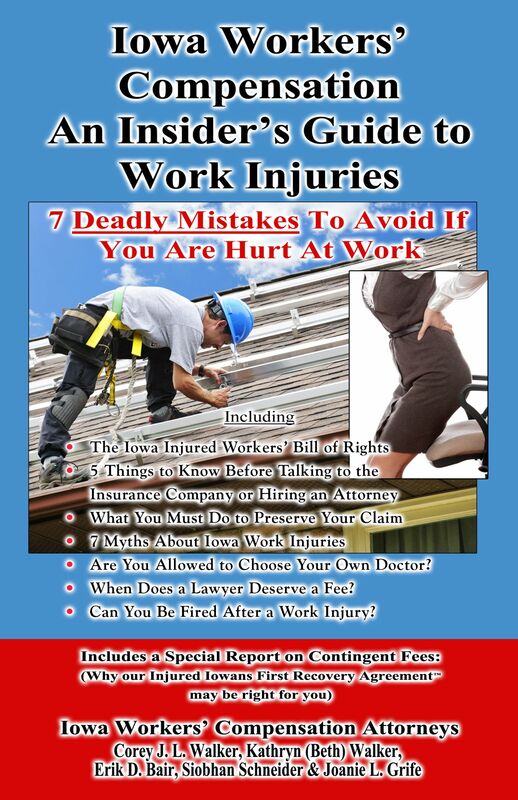 Disputes of an Iowa Workers' Compensation claim can involve multiple parties and get extremely complex and frustrating. You should be focusing on recovering from your injuries, not arguing over benefits. These cases are where a work injury lawyer in Des Moines can help diffuse these sometimes tense negotiations. Failing to properly handle a dispute with your claim can result in many problems. You may be delayed in getting the benefits and medical treatment you are entitled to, or not receive the full amounts for your injuries. In the worse case scenario, your claim could be outright denied, leaving you to pay for your medical care alone. A dispute of a Workers' Compensation claim can happen for any number of reasons and focus on numerous parts of your claim process. It can begin as early as the reporting of your injury, all the way to when you have been receiving disability benefits for some time. The majority of disputes in workers' compensation claims can be resolved by open communication between the employee, employer and insurance carrier. However, employers and their insurers do not want to be paying benefits for long periods of time, if at all. Their goal is to keep the money in their pockets - not yours. This means that there is a good chance you will run into a dispute about your Iowa Workers' Compensation claim as they try to avoid paying you the benefits you deserve. The moment you feel that you are not being treated fairly when your claim is being reviewed and handled, you should contact a work injury lawyer in Des Moines. Local attorneys know Iowa Workers' Compensation laws and are able to help guide you through dispute resolution.